Blood draws in an Orlando DUI case can be defended. The following comments are from a nationally televised continuing legal education program presented by Orlando DUI attorney Elliott Wilcox. So you’ve been hired to handle an Orlando DUI case. Congratulations! There’s just one problem… They’ve got your client’s blood. It doesn’t matter how they got it… Maybe he voluntarily consented to let them draw it, or maybe he was unconscious and “impliedly” consented, or maybe he was involved in a serious accident and they drew it by statutory authority, or maybe they had a judge sign a warrant and then they strapped him down and stuck him with a needle. Or maybe they just subpoenaed the hospital blood. How they got it doesn’t matter (yet)… You have to deal with the fact that they’ve got it. And you’ve also got to deal with the fact that most jurors (and, unfortunately, many lawyers) believe that blood is unimpeachable. If you were like most lawyers, you’d probably roll over, play dead, and then plea your guy out. That’s because, if it’s done correctly, blood testing is the most reliable testing method currently available. Blood cases aren’t for everyone. There are lots of highly qualified Orlando DUI lawyers with track records of success in breath and refusal cases who aren’t interested in defending a DUI blood case. It’s not that blood cases require you to have a science background or a genius level IQ (although that doesn’t hurt). If you can get discovery, read documents, compare them, do basic math, and perform a decent cross-examination, you can succeed in blood cases. But it does take time, and if you’re not willing to invest the time to do the work, refer the client to someone who will invest the effort. So if you’re willing to invest the effort, here’s the good news: There are lots of ways to attack blood testing. Problems can arise with the blood collection, the storage, the transportation, and even the analysis. If you know where to look, you’ll find the chink in the armor and unleash your attack. Don’t take a blood case if you’re not willing to do the work! 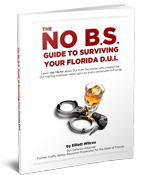 Orlando DUI lawyer Elliott Wilcox isn't just a former DUI prosecutor… He's the one who TRAINED all of the DUI prosecutors! 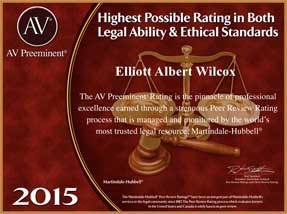 Elliott dedicates 100% of his practice to DUI defense. If you've been arrested for an Orlando DUI, call Elliott for help at (407) DUI-HELP.